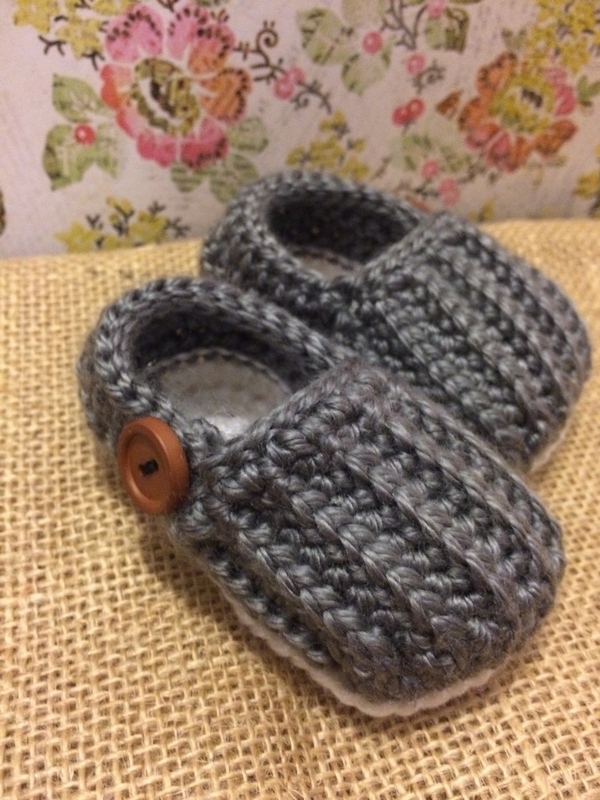 She had requested these DARLING loafers that she found on Etsy. 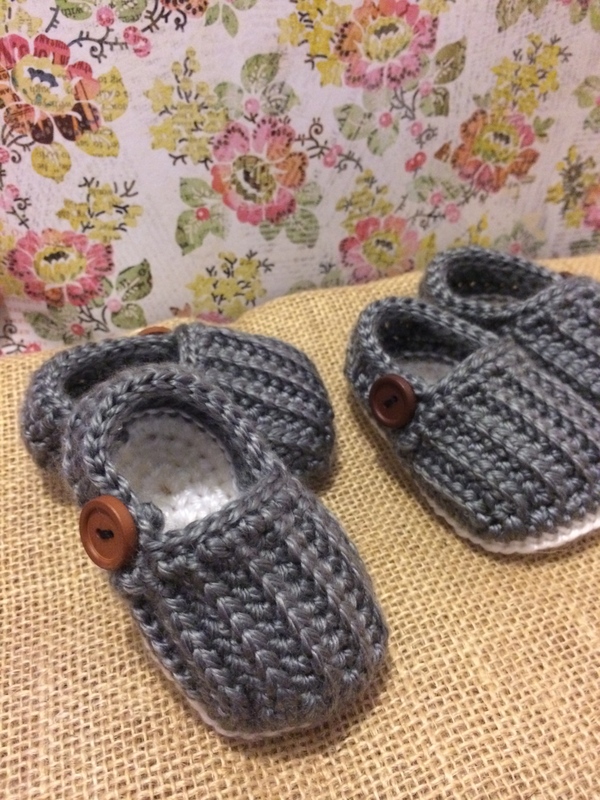 And because the girl was going to be having twins, which meant I had to make four equally sized and shaped loafers, I opted to buy my very first pattern ever (I normally use free patterns or make them up myself). It was certainly worth it. In fact, I made about 10 of them. Because they had to be just perfect! 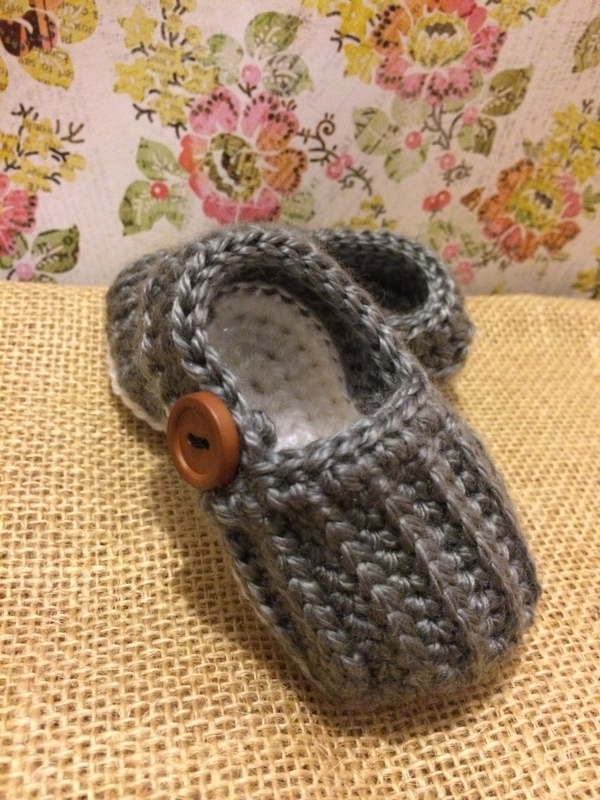 Also – if anyone buys this pattern and can figure out how to make Right shoes, I would appreciate a tutorial! 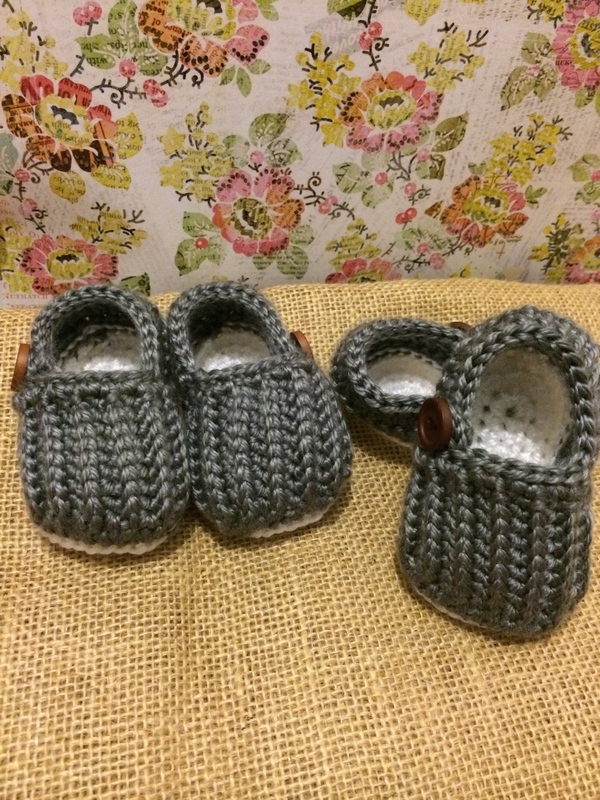 I could make Left shoes like crazy, but my Right shoes kept looking like Left shoes! Rough. Aren’t the buttons perfect?! She hadn’t found out the sexes yet and wanted to keep them neutral. I went with two shades of light brown wooden buttons from Michaels. Seriously! 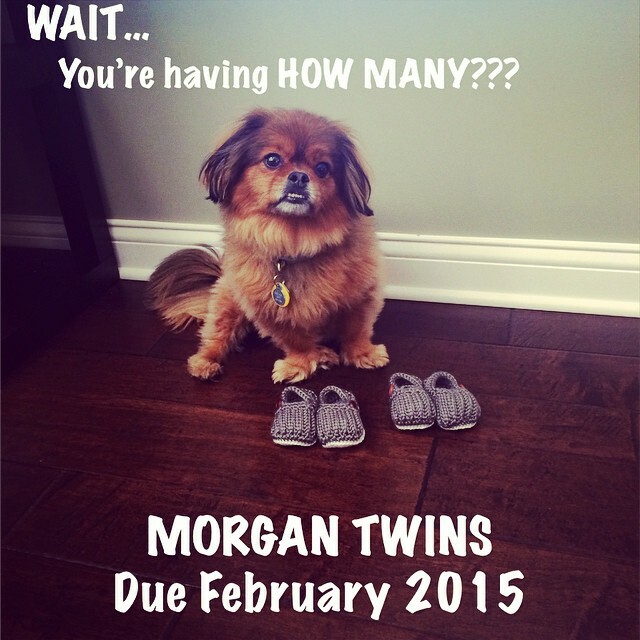 There’s going to be TWO babies! 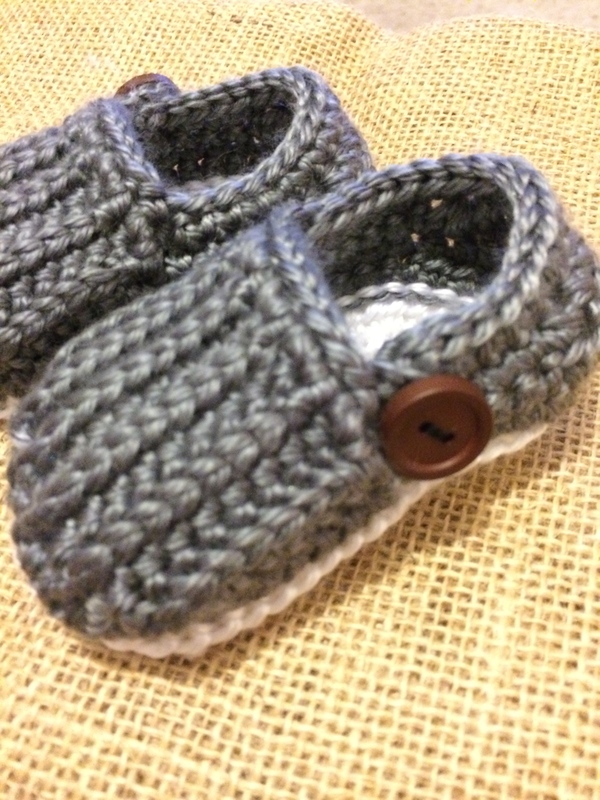 and they’re going to wear THESE shoes!! Think it can’t get cuter? It does. Look what she made as her birth announcement?! I’m truly HONORED to be able to contribute to this HUGE moment in her life!!!! 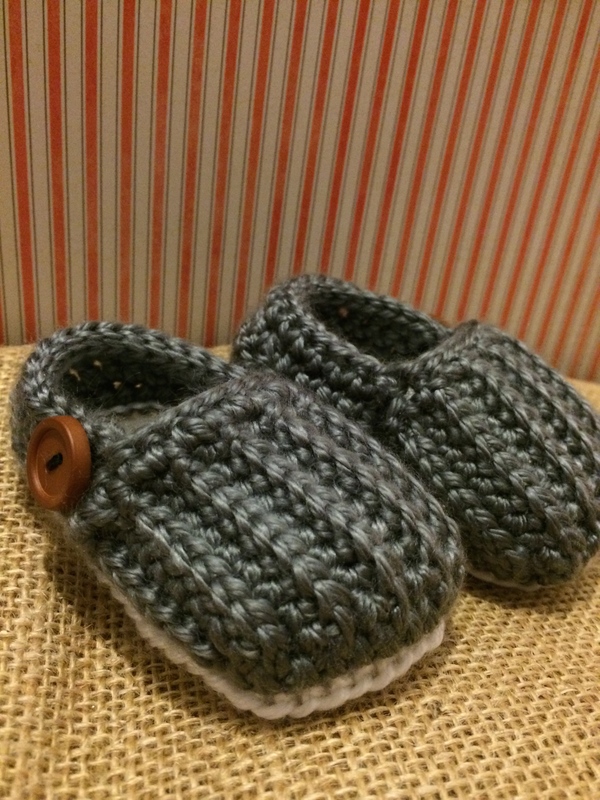 Love the booties, so cute!